Hello, welcome to holiday marine! Why Go For A Boat Wedding? Deciding where to tie the knot can be an overwhelming task. The costs, the décor, the guests, photos – all of these things have to be co-ordinated and planned out while choosing a venue. Out of the many options available, we’re going to present a case for a yacht/ship wedding. We think that it has its merits, and balances the trade-offs (especially cost vs. view and uniqueness) pretty well. 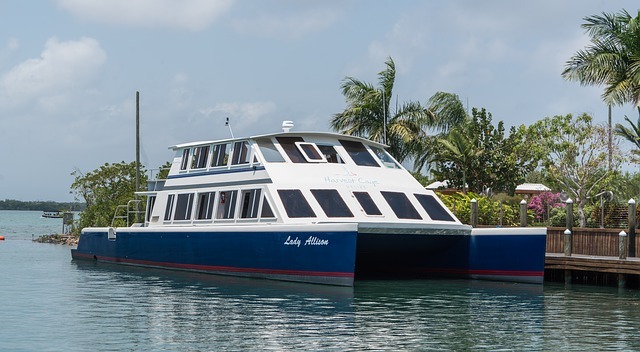 Here’s why we think having your wedding on a boat is a great idea. It’s different-Most often, people tend to have their weddings at a church, a hotel, or some banquet hall. If the couple is outdoorsy, they tend to opt for a barn, or maybe a beach at most. Our point being, a boat or a yacht wedding is an unconventional choice for a venue, and that’s a good thing. You and your guests are more likely to look back at your wedding with fond memories. Accommodates varying budgets- One solid advantage of having a boat/yacht wedding is that it can cater to a wide range of budgets – so even with a budget wedding you’ll have a good view and great memories! You could choose a simple wedding on a small yacht, with fewer bells and whistles and fewer guests, or you could go big and have a lavish wedding on some sort of cruise ship. Less Hassles-This is a huge plus. While planning out your wedding, having anyone take away some of your work is always welcome. The company which handles the yacht/wedding cruise will almost always provide all sorts of services for your wedding, including the food, décor, photographer, etc. And all of this can be customized as per your needs. Although again, this can be as per your budget too. If you have budget constraints, package deals will be available and they’ll be cheaper. The best part is, because everything you’d need is available from a single source, you need not fret much over planning and co-ordination. Just decide what you want, and co-ordinate with one party. These are some of the advantages of having a yacht wedding. As we’ve explained, they give you amazing surroundings and fewer hassles at a reasonable price, and should be considered as an option. Many of you avid sailors, boaters & water enthusiasts have probably experienced burning your bare feet on a scorching deck. The point is to not wear shoes so you can move around easily with better grip and let’s face it you will be around or in the water, so what’s the point. However, the burning of the sensitive soles of your feet is pretty painful. Although, after time most of us might agree we have become somewhat calloused from the repetitive exposure to this sun inflicted element. What if there was a way though, to move freely about the deck around your boat as well as up and down the dock completely barefoot. Count me in! Now there is, introducing Kool Deck, a concrete coating developed in Tucson, Arizona that takes the heat off, literally. Minimal Cleaning Required- can be easily cleaned by being sprayed off with a hose. Great especially around water with marine life. Comfortable- Has a nice comfortable texture to it for even the most sensitive for feet. Variety- Hand in hand with curb appeal the fact that you have color options makes it even more cost friendly. Spring Is Here..Prepare Your Boat For The Water! Its that time of year again finally! Springtime is upon us and you are ready to retrieve your boat from its winter storage place and get it ready for its first day out on the water this Spring. What are the necessary measures to take to make sure your boat is 100% ready to set sail? Just as there are necessary tasks to accomplish to ready your boat for its winter storage the same goes for its return to the water. We have compiled a list of the simple tasks to perform to ensure your boat is at optimal performance standards. Visual Inspection-VGive it a thorough visual inspection to assess any repairs or damage. This means you need to check the hull for cracks, damage to the paint job, mildew or mold etc. Screws & Fittings- Next you need to make sure that all of the screws and fittings are well lubricated and tightened. Check The Battery- Especially if your boat has been in storage for more than one winter. You may need to replace your battery and you will most definitely need to charge it. Check gauges, light, and pumps while boat is running to ensure all are working properly. Check Fluids Etc- Now’s the time to check your oil, spark plugs and filters ensuring all are in good condition or changed if need be. As long as you stick to these overall guidelines as well as feel that your boat meets all standards you are ready to get out on the water. Should you have any worries or are unsure about any part of your boat it is best to take care of all issues before attempting to set sail. Sliding glass doors for your yacht seem the most logical , especially being with the smaller space you have to work with. French doors are beautful however espevially when trying to open up the inside living space with a little extra class. In short updating your doors on your yacht will allow for a fresh, clean appearance and does wonder for the exterior of the boat while not doing any to major of a project. 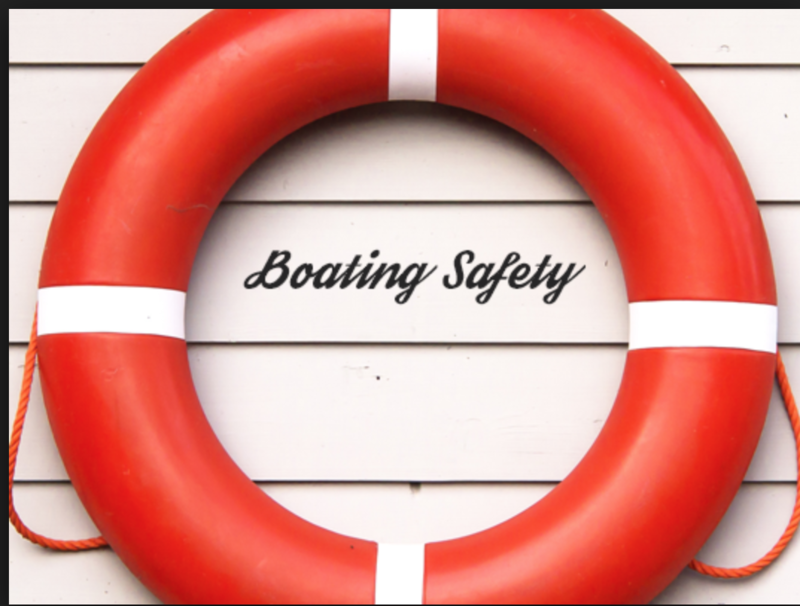 When owning a boat it is extremely important to know and follow the basic boating safety guidelines. Being aware and familiar with these safety procedures will allow for a much safer, organized day on the water. Before attempting any boating expedition it is important that you are weather wise and conscious. Weather can change quickly and with not much warning. It is best to watch the weather stations and listen to local weather updates before taking your boat out. Once on the water it is necessary to watch the weather conditions and should you see darkening clouds or changes in wind it is best to go in. Before leaving the harbor or boarding any passengers on your boat it is important to have a pre established Pre-departure checklist. Once you have followed through with the checklist it is safe to go out. This checklist will help to pinpoint any damages, concerns or safety risks before setting out onto the water. Once you are out cruising about make sure to always be aware of your surroundings. Watch for people swimming, large vessels, buoy’s etc. Avoid any consumption of alcoholic beverages while you are navigating your boat or in control of driving it. Life jackets are meant for reason, they will help to save your life should your boat ever capsize etc. Make sure each passenger is wearing one, especially children and that they are being worn properly. Have a designated Skipper. This person should be someone that knows how to handle and operate your boat just as you do. In case there is an accident or something should happen to the captain, the skipper can take control and get everyone back to shore safely. Although these safety precautions may seem a bt extensive, the water can be a dangerous place and so can operating a boat. Having simple safety measures and precautions put in place an implemented can save lives in the time of distress or an accident. Owning a boat is a great adventure in itself. Being able to get out on the water and enjoy the air and sunshine while drifting in the sea, or lake for that matter is one of the best feelings in life. However, taking care of your boat and maintaining it properly will keep it safe and in good condition for a lot longer. 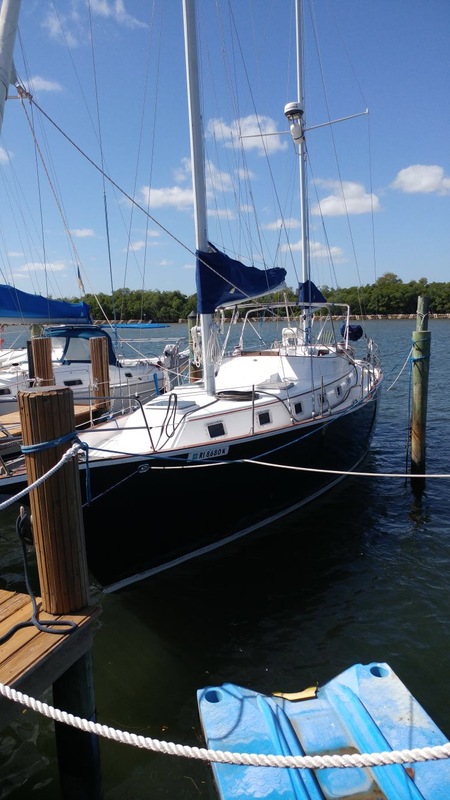 There are many things you can do when it comes to maintaining your boat. 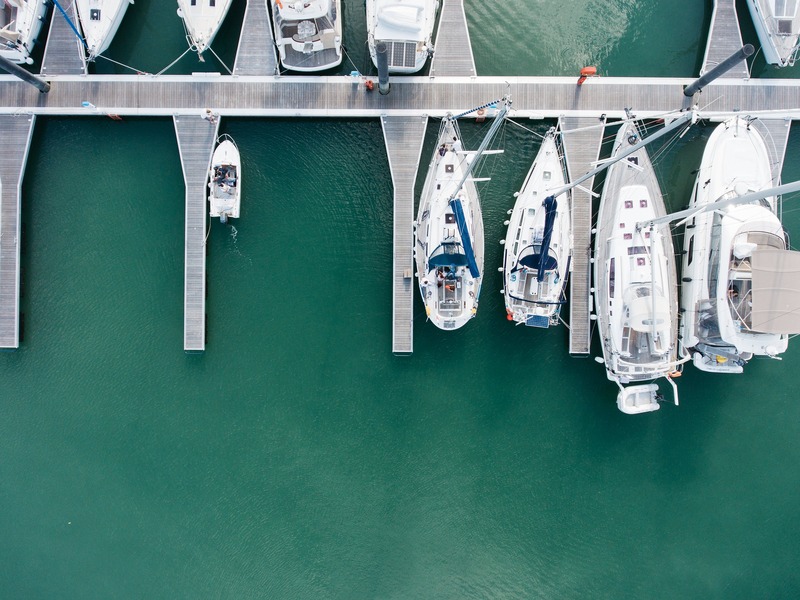 These 5 boat maintenance tips are sure to be the most important when keeping your bought in tact and lengthening its life. Wash your boat regularly, especially when in salt water. Anytime you take your boat out in salt water it should be thoroughly rinsed with fresh water when you are done. Salt water when left on your boat will cause fasteners, hardware, and metal to corrode. When left on it will also damage your gel coat which helps to protect your boat against weathering etc. Check/remove propeller regularly especially during season. If you have an stern or out board type boat it is important to check the propeller as part of your pre-launch routine. It is also important during fishing season to use a deep well socket to remove the propeller completely. This way you can check for ny debris or old fishing line that may be tangled up within. Inspect the propeller while you have it removed. Making sure the propeller is free of nicks and dents can help you save on fuel efficiency. Even the smallest dent in your propeller can cause a 10% decrease in your boat’s performance which in turns causes more fuel to be used. Oil Changes….Just like any automobile boats need oil changes too. Different style/types of boats require different period for oil changes. A basic rule of thumb for most boats is to plan to do an oil change for every 100 hours the boat has been in operation or at least once per year. Keep the Hull clean! Keeping the Hull of your boat clean from any algae or other type of water scum will help with better fuel efficiency. Less fuel put out is also better for the waters our boats are in. These are just a few good maintenance practices you can get in the habit of to keep your boat clean and in good running condition. These simple maintenance tips can also help you save a lot of fuel and money! There is nothing quite like purchasing a brand new boat. You love everything about your new vessel, the smell, the look, and the way onlookers admire it. However, the second you purchase it, you immediately begin to think of ways to preserve it. From the cabin to the hull, you want everything to stay in pristine condition. Although regular maintenance and cleaning will help to keep your boat looking new, there are other ways to prevent damage. Today we want to cover something that has been growing in popularity over the years, vinyl hull wraps. Boat owners have been vinyl wrapping their boats for decades to add graphics, change the colors and market a product or business. However more recently boat owners have opted for a hull wrap to protect the hull of their boat from corrosion, stains, and other unsightly damage that can occur on the hull of the boat. Hull vinyl films can come in a any color, so they can change the color or your vessel, or hide any current discoloration. 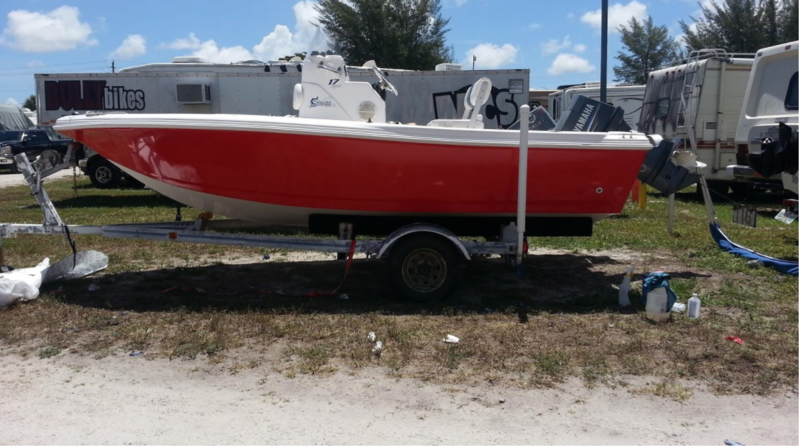 Additionally they can be clear and unnoticeable to maintain the factory look of your boat. 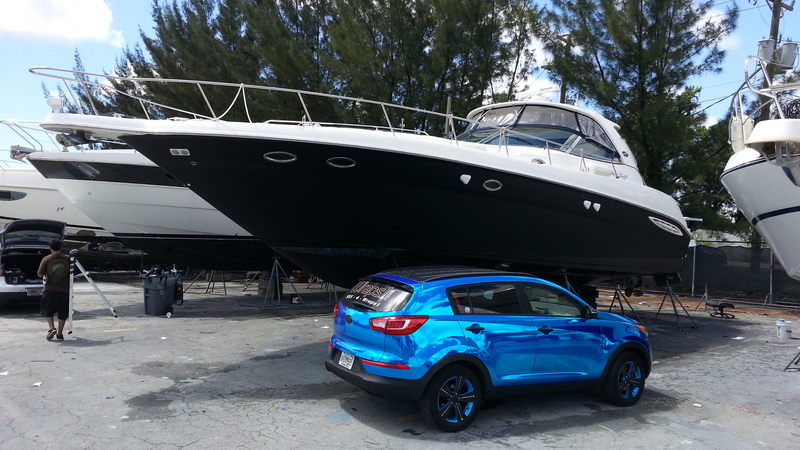 Here are some examples from boatwraps-florida.com. There are a lot of advantages to vinyl wrapping your boat. In addition to preventing corrosion, and unsightly damages caused by normal wear and tear, vinyl wraps also offer a great alternative to paint. From cost, to longevity, and to the customization options, vinyl wraps are typically a better investment than paint. Vinyl handles the elements a lot better than paint. From salt to sun, vinyl will maintain it’s color far longer than paint. Additionally if you take preventative action and get a hull wrap on your new boat, it helps you preserve the factory paint job of your vessel and helps to maintain it’s value. Preserving the factory paint job is one of the biggest reasons many yacht owners are opting for a hull wrap. 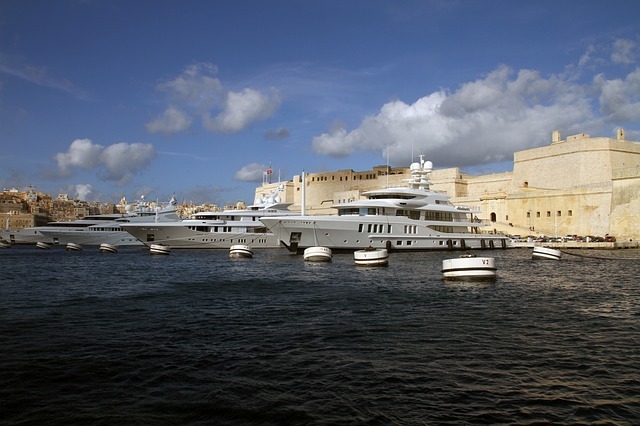 However the customization is another big draw for yacht owners. From those who simply want a unique color or effect that is not available with paint, to those who want a stand out graphic to set them apart or brand their vessel with a name or design. All in all vinyl hull wraps are more than protection, they are fun and will make your boat personal to you. Although worn gel coats seem inevitable and just standard wear and tear for your watercraft, the truth of the matter is it’s not. Gel coats can be preserved and even rehabilitated in many circumstances. Some people wear their worn gel coats like a badge of honor, as representation of their time at sea, but many owners seek to preserve the brand new look and feel of their vessel. If you group yourself with the latter then read on. Gelcoats, which are what give boats their veneer are applied atop the highly polished mold at the beginning of the fiberglass layup process. They are what makes a boat shine in the water, and also help to protect the integrity of your boats exterior over the years. Through time these gel coats become more porous and harder to clean, but not impossible. As I’m sure you know, the best way to get rid of stains on your boats gelcoat is to prevent them in the first place. A good wax or polish and regular wash downs will help to prevent a large majority of stains from occurring. Although waxing will help to create a barrier between the elements and your gelcoat it will not prevent staining entirely. So be prepared to do routine wash downs with a gentle boat cleaner to remove stains that are beginning to occur. If done regularly the cleaner and a little elbow grease should remove any build up fairly easily. When dealing with more stubborn stains you will need something a bit stronger. When it comes to gel coat stains there are two types of stains, organic and mineral. Organic stains are the result of spilled food and drinks, bird droppings, plant matter and things of that nature. These types of stains are typically easy to clean because they are water soluble and little soap and water will typically do the trick. More stubborn mineral stains will require a chemical agent such as acid or a chelating agent. Acid works to dissolve the stains while a chelating agent will bond to the stain and suspend it for easy removal. Both require little to no scrubbing since they are chemical based. Rust stains and water line stains are the two most common mineral stains that require chemical solutions like we mentioned. While gelcoats can be repaired, prevention is still the best route. 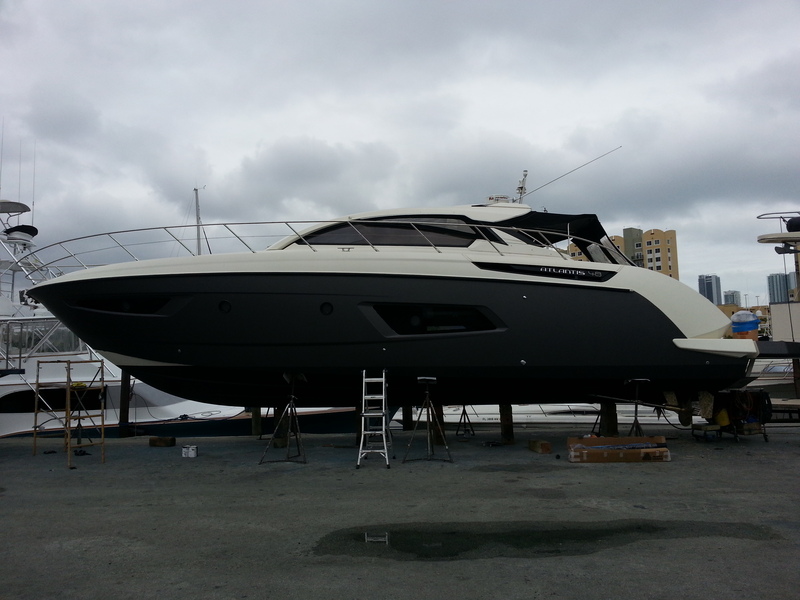 Make sure to routinely wax your hull and do regular wash downs to prevent build up. 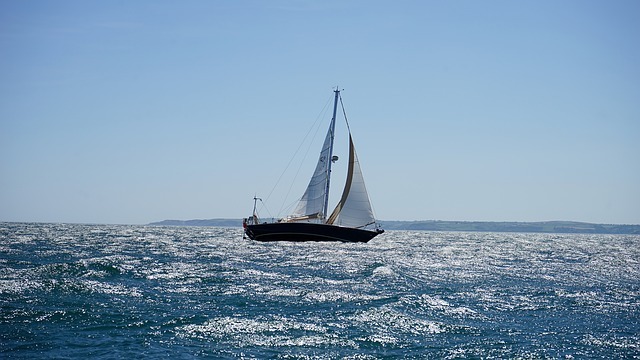 Mineral damage from the waterline after long voyages are annoying, but always know that there is is a solution. Where parking your yacht is a pleasure.